Everyone needs a good hemp blunt wrap now and again, so Glass Nation strives to have the best hemp wraps online. Hemp wraps are a unique kind of rolling paper because they are made of thicker fibers than a traditional rolling paper. Hemp blunt wraps have absolutely no tobacco in them which makes them a wonderful alternative to traditional wraps. Enjoy the cigar feel with out the awful cigar taste. 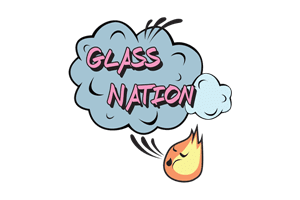 Glass Nation strives to have the best selection of hemp blunt wraps online. Hemp blunt wraps may look like a traditional cigar however they are not. They are made out of 100% industrial hemp plants. The same hemp plants that go into making rolling papers. However, these wraps are made with less process fibers giving them a more natural look. They are unique to traditional wraps in that they come in a variety of flavors.